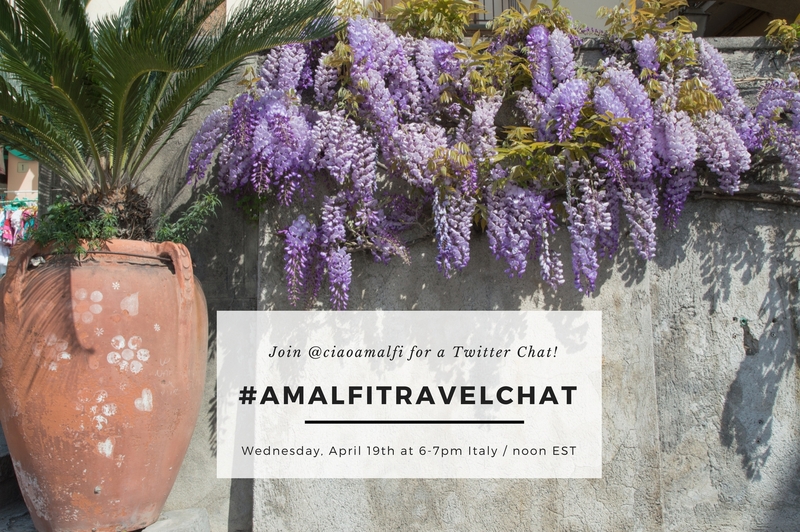 Mark Your Calendars for the First #AmalfiTravelChat on Twitter! 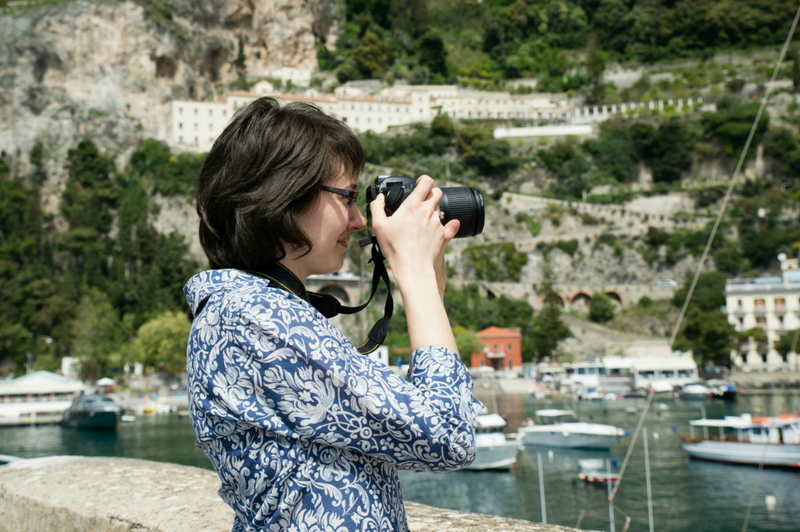 Earlier this year I asked travelers to send me their Amalfi Coast questions, and it was a huge success. I received so many that I realized there are many people planning a holiday on the Amalfi Coast or surrounding area who are looking for help and travel information. I’m working on a series of blogs and new website pages for Ciao Amalfi to provide more travel info, but I decided to head to social media in the meantime – to get answers to your travel questions out as quickly as possible. This also means that you can get tips and suggestions from other locals on the Amalfi Coast as well as experienced travelers around the world! Sound interesting? Well I’d love it if you joined me this Wednesday, April 19th at 6pm Italy time/ noon EST for the first Amalfi Coast Travel Chat on Twitter! If you all enjoy this and find it useful, then it’s definitely something I’d be interested in repeating regularly. I look forward to chatting with you on Wednesday during the #AmalfiTravelChat! 1. Log in to Twitter before the chat starts at 6pm Italy time / noon EST and follow @ciaoamalfi to keep up to date on future Twitter chats and Amalfi Coast updates. 2. In Twitter, enter the hashtag #AmalfiTravelChat into the search bar and select the “LATEST” search option to follow chat tweets in real time. 3. I will be asking a handful of questions, which you will spot as each one will begin with “Q” and the number of the question. 4. To participate, just respond with “A” at the beginning of your response and the corresponding number to the question you’re answering. Don’t forget to add the hashtag #AmalfiTravelChat to all your tweets during the chat. 4. The questions for the Twitter chat will be some of the most frequently asked, but I’ll save some time at the end to take your questions for future Twitter chats. So don’t forget to get them ready! 5. If you can’t participate during the Twitter chat in real time, simply check in after the fact to read all the tweets by searching for #AmalfiTravelChat on Twitter.